You'll find that we have an amazing selection of party buses, limousines, and other chauffeured luxury transportation options. To get you started on your adventure, follow the links to our fleet page just below. There you'll find the best selection of unbelievable rentals in the Lone Star State. While you're here, don't miss out on the other great information we have here for you to enrich your knowledge about our industry, our business, and how we go above and beyond to ensure you have the best time with us possible. Get ready for an incredible night in Houston in this little luxurious bus. The smallest in our fleet, it is perfect for small gatherings of your closest friends. Our rugged F-650 black party bus is a spacious place to have a good time. With a cool black interior and color changing lights, you will love the VIP feel! 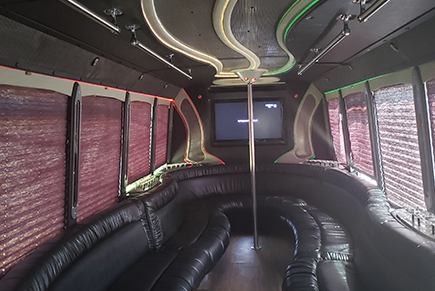 This black party bus is ideal for large groups. It features an awesome red and black custom leather interior that will make anyone feel like a rock star! The exterior of this big white party bus has blue and gray accents that look stately, but step inside and you will be transported into another world! Treat yourself to the luxury you deserve! Our extensive luxury fleet of vehicles is second-to-none! Your customer experience is our utmost priority! You will be hard pressed to find higher luxury for such a price! Top of the Line audio video systems professionally installed. 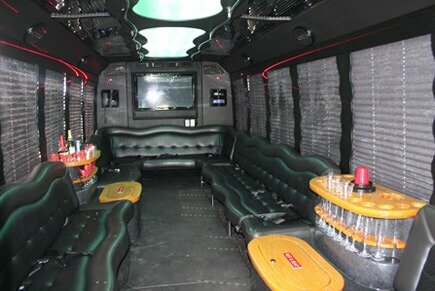 Thank you for your interest in Houston Party Bus Service! We specialize in spectacular transportation in high-class party buses anywhere in the Houston, Texas area and beyond. Houston is an incredible city with a storied history. Fourth-largest in the country, it is home to over 2 million hardworking residents. What better way to take advantage of a well-deserved weekend off, than on a party bus? We'll provide transportation for any event, including concerts, sporting events, and annual festivals. There's no limit to what you can do! Houston is also home to several colleges and universities. After a long week of studying, classes, and exams, what better way to celebrate than by hitting Houston's nightclub scene? 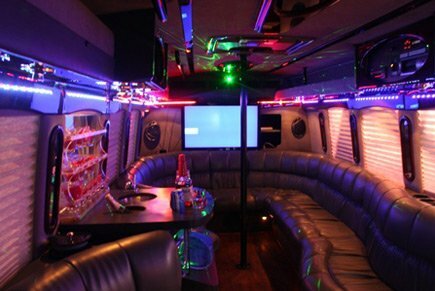 Let Houston Party Bus Service provide a safe and reliable way home after a night on the town. You can even keep the party going long after bar close. Make memories that will last forever before heading back to class on Monday. We pride ourself in our service. Our reasonable pricing system and quality vehicles help us attract our customers, but it is our tendency to go above and beyond the call of duty that keeps them coming back. 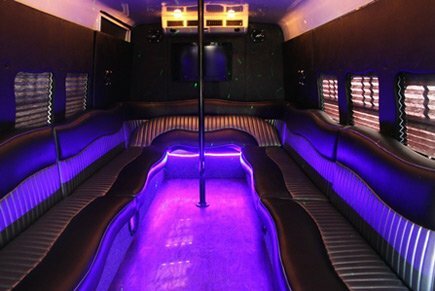 We know you will have a great experience with Houston Party Bus Service. Call or email us today to learn more! We couldn't have asked for a better chauffeur to handle our wedding day. He was not only a great driver but incredibly helpful and courteous. You guys were great! Thank you for helping make my 21st birthday party legendary. I will for sure use you guys again. We had such a good time celebrating on your bus that the end of the night details are fuzzy but your driver took great care of us. I was tasked with organizing a small work outing and had no idea what I was doing, but you handled it all and made me look great. Thanks! Your steady professionalism really helped get us though a stressful wedding knowing that you had transportation handled. Not only was the party bus stunning but the service we received was so good it felt like a throwback to when companies cared about customers! We are here to serve all of the most popular occasions! In Houston Texas, there are many choices for you to pick from in hiring a luxury transportation provider. However, you will find no other company that is more passionate about bringing sheer excellence to your event as we are. After all, we are the event transportation specialists in and around the greater Houston area. There has never been, in the history of our company, an event that we couldn't handle. And, trust us... During our time in business, we've seen quite a few different happenstances! Each and every one has been handled with expert efficiency and unparalleled professionalism.